Environmental protection is an increasingly-important issue for legal scholars. This is not simply because of greater concern about the environment, but because the topic has assumed a central significance in debates about regulation. 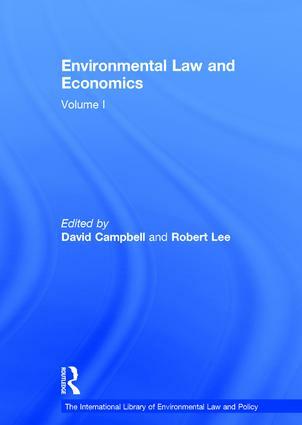 The International Library of Environmental Law and Policy is designed to provide the reader with the necessary material to understand the regulatory enterprise in the contexts of different environmental problems and environmental media. Increasingly we witness the adoption of legal and policy mechanisms across different jurisdictions - the spread of ideas of precaution or the growth of trading in permits prove good examples. The Library pulls together the most significant material from legal and other periodicals to form an essential compendium for those wishing to study the role of law in protecting and conserving the environment.